The development of solid state storage has quickly revolutionized the way both consumer and commercial computers are built, where they can live and what they can do. Solid state storage, a data storage system free of moving parts that records information electronically rather than magnetically, has vastly expanded the versatility of embedded systems to allow them to effectively operate in environments and conditions where traditional drives would fail. But, while Solid State Drives (SSDs) get the bulk of the press, these direct hard drive replacements are only one way to incorporate solid state storage into a system. Depending on your application and overall memory needs, the way you choose to implement on-board storage can impact everything from overall performance, to cooling, to case design. The popularity of solid state storage has exploded in the last year, prompting prominent manufacturer SanDisk to recently increase its gross margin target, largely on the strength of memory chip sales. Once an extremely expensive option limited by availability and capacity, solid state storage now serves as an attractive alternative, or capable addition, to traditional hard disks. Solid state storage can provide increased performance speeds and vastly greater durability, especially in harsh, vibration-prone environments. Depending on your particular system, its intended use, software and motherboard design, solid state storage can be implemented in any of the following ways. 1) IDE Flash Modules – IDE flash modules plug directly into a motherboard’s IDE port (where an IDE cable, used to connect a standard hard drive or other peripheral, would usually be attached). While IDE flash was once prevalent, it has largely been replaced by SATA interface modules which are considerably faster. 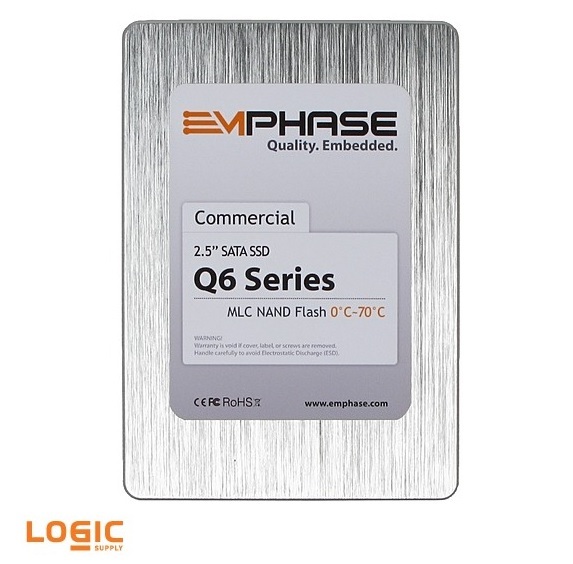 Four our legacy customers we currently offer IDE flash modules with capacities ranging from 512 MB – 4 GB. 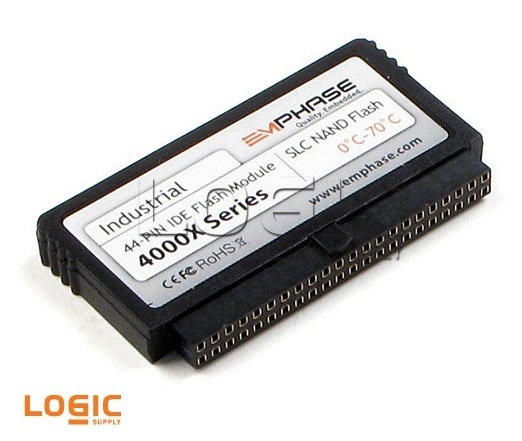 2) SATA Flash Modules – Similar to IDE modules but offering faster speeds and more universal motherboard support, SATA flash modules plug directly into an onboard SATA connector (where the SATA cable connecting a standard SATA drive would normally be attached). Logic Supply’s Emphase SATA flash modules are available in 1 GB – 32 GB capacities. 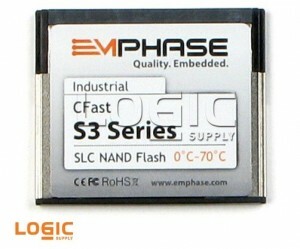 3) IDE to CompactFlash Adapters – IDE to CompactFlash Adapter can be used to allow industry-standard CompactFlash (CF) memory cards to be accessed by the computer as though it were a hard disk. 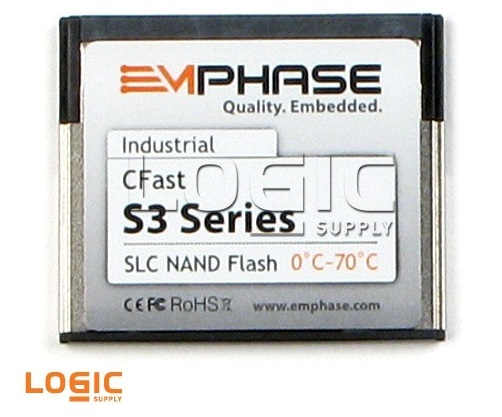 Emphase industrial CompactFlash is available from Logic Supply in 4 GB – 32 GB capacities. 4) Direct CompactFlash Integration – Some motherboards are equipped to directly accept CompactFlash cards, eliminating the need for an IDE adapter. 5) Solid State Drives (SSD) – 2.5” solid state drives plug into an IDE or SATA cable and mount to the system in the same way a standard drive would. Mobile-SATA, or mSATA SSD drives, meanwhile are smaller and don’t require any cabling for installation. SSDs offer the most storage capacity of any of the solid state options. We offer SSDs ranging from 25-512 GB. It should be noted that some operating systems may not support installation and/or booting from removable storage devices. In addition to potential installation space limitations, some operating systems use disk space for temporary storage during normal operation, resulting in frequent read/write cycles that can quickly deteriorate flash memory usability. However, our Emphase modules have a higher R/W endurance cycle and feature a life-prolonging wear-leveling algorithm while also supporting most operating systems. If you’re planning to utilize solid state storage for your application, you should consider installing an operating system that puts less strain on your storage device like Linux or Windows Embedded. For questions about how to implement solid state storage in your next project, contact our knowledgeable sales technicians by calling 802-861-2300.